Zpotted: Brown on my side of town! Yep – i’m in the Corvair! 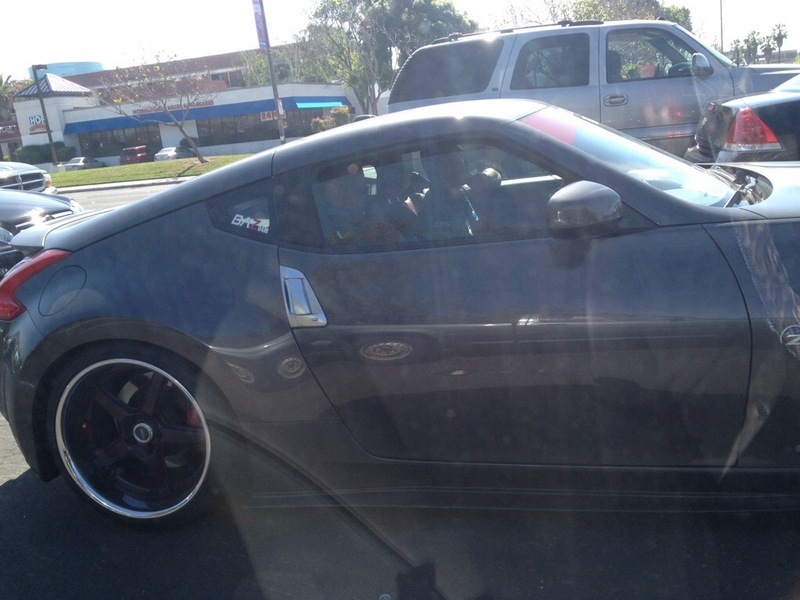 Probably thought i was weird taking pics of his car. Geez dude – just a 280z. 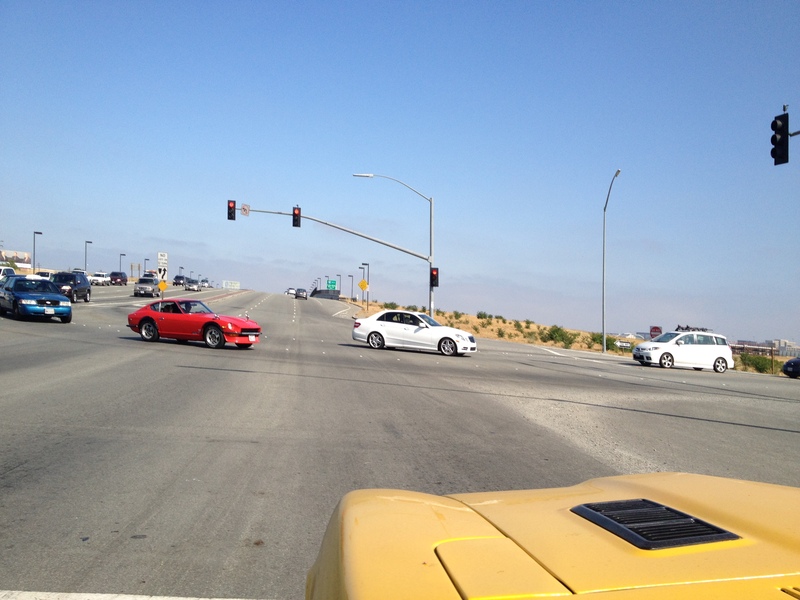 Here’s an interesting story: I spotted a 240z while flagging down a Corvair 95! This guy was hummin’ along well over the speed limit in his blue Corvair 95 van, wheels tipped in – really punchin’ it! Lol looking at the picture again – man, this says so much. You can see my speedometer..i’m going 40 and barely keeping up! First off, he’s got the Xenon body trim all the way around – left the rear black. Blacked out gas door and turbine styled wheels. Can’t really see it but also a stacked muffler like a Master Blaster. But what are those 2 items?! Is that a hatch spoiler? Are those white hatch vent covers? Let’s work our way up: white hatch vent covers. I’ve never seen these! Usually, they’re slotted and chrome hatch vents, minimally raised from the hatch. These are clearly well pronounced comb-like covers made to force air down and out. Of course the ‘net doesn’t give much on these obscure guys! Now check out that hatch spoiler! Again the internet lets us down! Though dark, it didn’t seem like it was home fabricated, so there’s got to be something out there on this! Anyone? 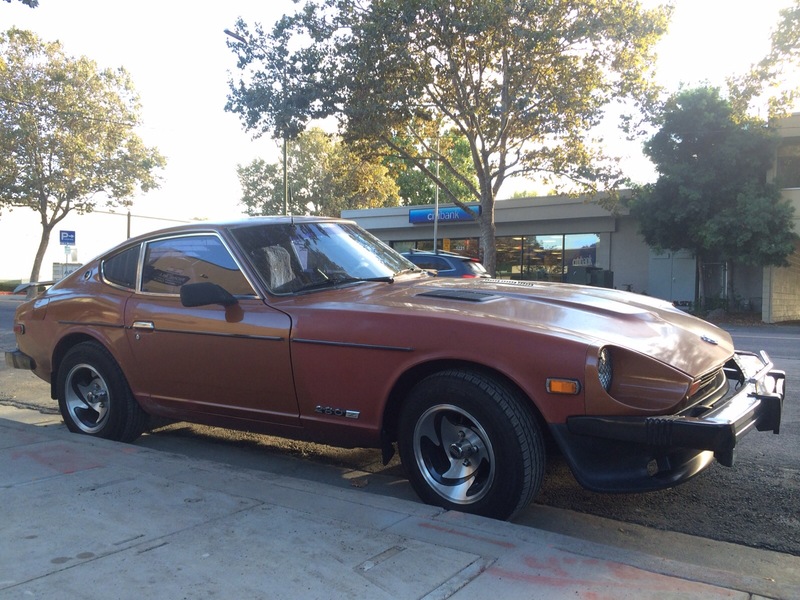 What an example of a classic Datsun 240z! One of these days, I’ll head over there and we’ll get a chance to know more about this guy! zippin around SoCal a while back [actually a year ago – i just found this in the drafts folder! 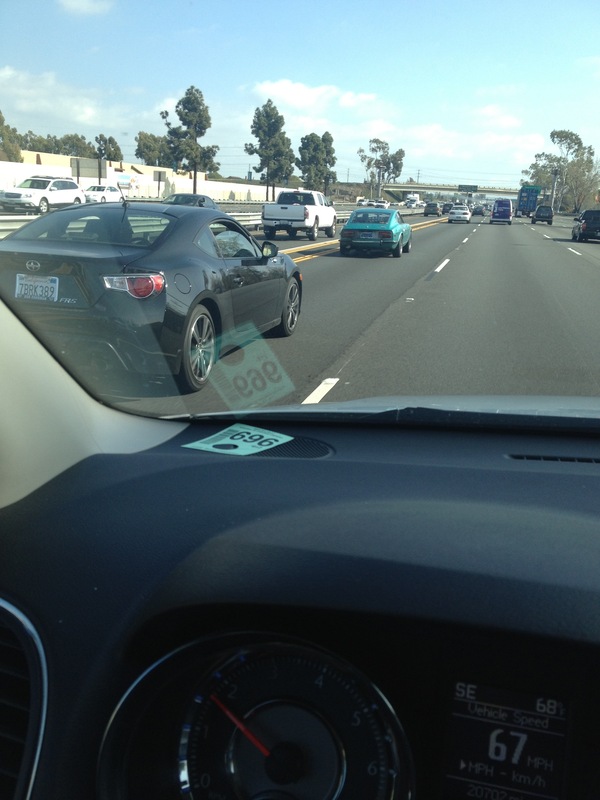 ], rippin up the freeway was this seafoam Z. keep it rollin’! Behold this silver chariot! Summer drives along the coast must be ammmazing with this little guy: the Datsun 2000 roadster! I had a financial education seminar in Santa Clara the other day, and spotted this just in the parking lot, ready to go. Actually my co-workers asked if I had the same car! Haha well, not being into cars, they just know I have a “Datsun”, and the front badging on the roadsters let be known – it’s a Datsun. I’m always so interested in the roadsters lines; for a car is this size it has lots of creases you wouldn’t expect. Check out the slight over hang to the left of the trunk. And the way the trunk is actually shaped, like pillow embossed. Not to mention all of the chrome bits! Actually it almost seems as though it has MORE parts than the Z, yeah? 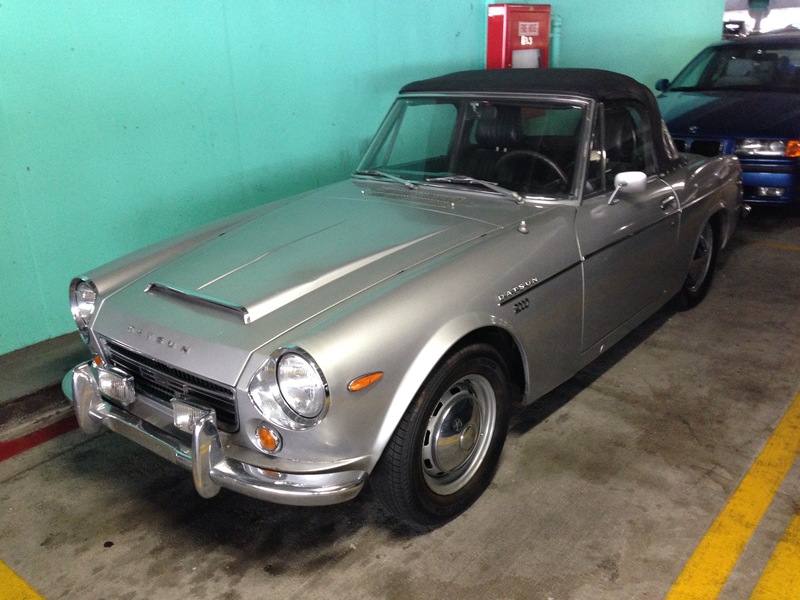 Hats off to a well-cared for, well-enjoyed Datsun 2000 roadster! 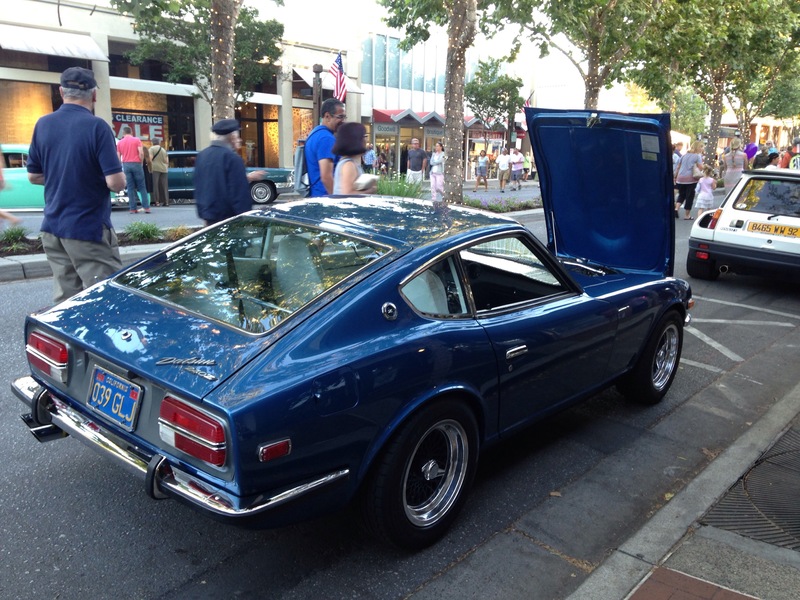 This comes in from my buddy Leslie (of Daily Dapper fame) – she spotted a Datsun 240z sunk in deep ocean blue with an interior swathed in white recently at a Menlo Park car show. Looks like a super clean example with tasteful upgrades! We can spy the stacked Monza exhaust, strut tower bars in front and back, and ‘knock-off’ wheels. 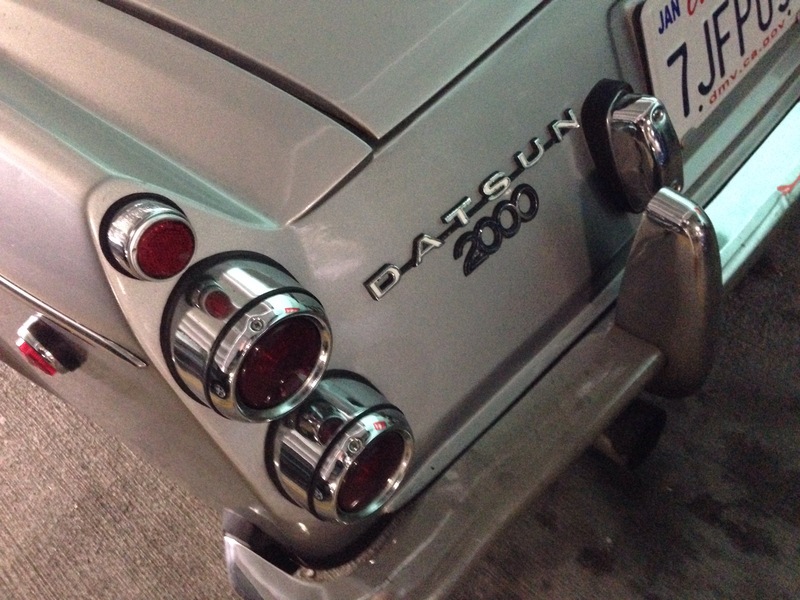 “Datsun” sideemblem is de-badged as well. This downtown brown sent in by my sister-in-law. My guess is that this 280z is a 1977. Just check this thing out – kinda funky! Period wheels, turbo mirrors, extra antenna popping outta the windshield, side window and rear windshield louvers, and it’s even got the little door bumper guard between the door handle and the edge of the door! 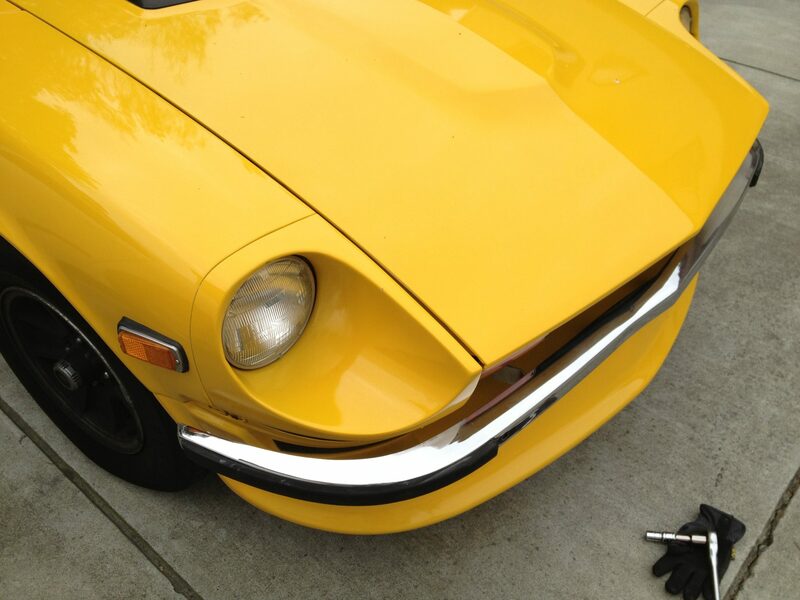 Additionally, this 280z has got the bumper overrider bar, added fog lights and mesh over the headlights. haha actually – we zpotted each other 😛 enjoy the drive buddy!